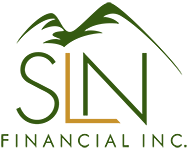 October 4, 2017 - Tax Benefits Available as You Age | SLN Financial, Inc.
Finding any helpful reason to pull down your tax liabilities is a welcomed benefit, no matter one’s age. But, once you move into your golden years, exploring new tax benefits is worth the time and effort—you may have specific tax benefits available to you that you couldn’t previously claim. And any money you save today can help you fund a long and comfortable retirement. • You are a qualifying person: At the minimum, you must be a U.S. citizen or a legal resident. You typically can’t take the credit if you spent part of the year as a non-legal resident. • You are within the approved income limits: Certain income limits apply in order to be eligible for the credit. The details vary according to your marital status, your adjusted gross income amounts, and any disability income and nontaxable social security, pensions, annuities. One perk of turning 50 is the ability to make catch-up contributions to your retirement accounts. These can be helpful if you still need to save more retirement savings, and you can do so while gaining a tax deduction in the process. However, you cannot apply the deductions on Roth accounts, since you pay into those with after-tax money. If you would like to explore the tax benefits available to you, we’re happy to talk.